At a press conference on Wednesday in Ha Noi, the Viet Nam Circus Association introduced the new Vietnamese “water circus,” to soon be soon presented to the public. The water circus is an art-form similar to the famous water-puppets show, but it is staged entirely by live actors. The stories are accompanied by music and narration similar to the water puppets, but there is a land stage in addition to the water stage. 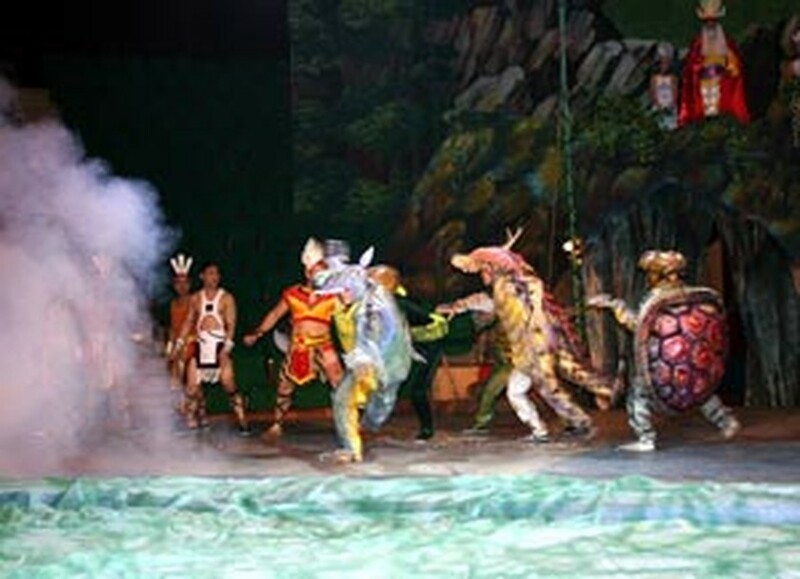 Also similar to the water puppets, the shows can be adaptations of Vietnamese legends. 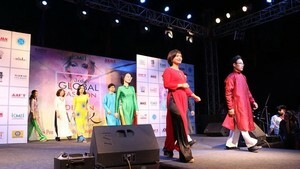 The “Son Tinh-Thuy Tinh” legend will be the first play performed. The performance of Son Tinh-Thuy Tinh is set to break Vietnamese records for the most sophisticated stages and the greatest number of artists in more than 100 outrageous costumes. “Son Tinh-Thuy Tinh” is a Vietnamese legend about two young men, Sơn Tinh, the God of high Mountains and Profound Forests and the other, Thuy Tinh, the God of Rivers and Immense Seas. They fight to a draw for the beautiful princess Mi Nương, daughter of the 18th King Hung Vương, who seeks a talented husband to suit his daughter.